I’ve always had a great sense of justice, since I was a little. My mom thought I’d grow up to be a lawyer or a diplomat. But I became an activist and an artist instead. I was born and raised in Brazil and came to the USA through a political asylum petition based on sexual orientation. I say this because I want to clarify that not only do I understand (to the best of my abilities) the points in this article, but that I myself share with you some of these violent systems of oppression. 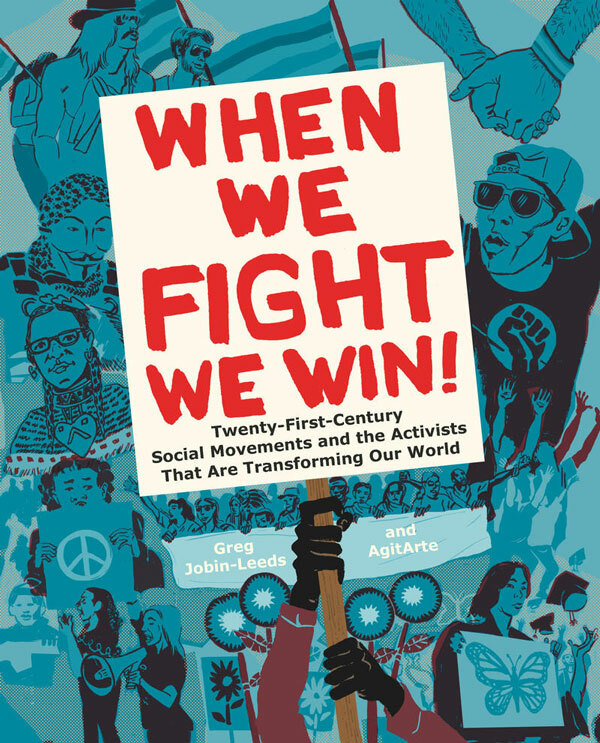 I came across a book called When We Fight, We Win, which talks about how the new wave of social justice movements are taking a more serious pro-intersectional approach. Well, with the exception of one minority, that still continues to be ignored by virtually all movements: nonhuman animals. That’s not to say that every LGBQTI group out there is now currently considering questions of ableism, or that all nonhuman animal rights groups are addressing issues of racism. I’d like to focus on two groups: LGBTQI and racial justice. I decided to pick these two because one I’m directly part of and the second I’m an ally with. Those two movements will be the base on which I’ll explain how anthropocentrism and colonialism have deeply affected our relationship with nonhuman animals and with one another. I’ll also propose that we regain that relationship and that we build more inclusive movements. I don’t expect minorities to forget prolonged history of dehumanization but instead I ask that together we break this pejorative, white notion of animality that we currently have and that we restore our relationship with nonhuman animals. I’m giving this warning because from now I’ll refer to all of us as human animals. I’m also not going to debate, per se, the fact that nonhuman animals are people, individuals. That is like me, as an ally, hearing someone debate whether or not a trans woman or man is worthy of consideration because they are “just” trans. A trans woman or man, a person of color, a disabled community member, or a fish is a someone because it’s not their gender, race, ability or species that define their status of moral consideration, it’s the fact that they are all animals and that they are sentient – capable of feeling.We know from thousands of scientific studies that animals (human or nonhuman) are individuals who at their most basic level seek pleasure, flee from harm, have awareness, feel love and pain. Also, my intent is not to anthropomorphize nonhuman animals by showing our common grounds and pointing out how violent ideologies impact us both. On the contrary. It is to show that because of the fact that we are animals, when we deliberately hurt another species, we are hurting our own species. “Leadership for me is tied to this question of vision… and a desire for wholeness… we can’t ask someone to be an undocumented immigrant one day, a lesbian the next, and a mom the third day… our vision is about… transforming society so that she can be all of those things every single day and that there would be a connectedness among social justice workers and among the organizations, and agendas, if you will, to make her life whole,” says Rea Carey, Executive Director of the National LGBTQ Task Force. Are we in agreement with this first premise? I want to add to this idea and take a step further. Taking a serious pro-intersectional approach requires that we throw our “selective justice” mentality out of the window and challenge our own privileges. Every time you think the announced privilege applies to you, make a mental note. We may find the results surprising. I’m using the word by law, because a lot of minorities may feel like these privilege may not apply to them, and many cases they actually don’t, from a society point of view. In this case, all examples illustrate privileges we have in relation to nonhuman animals and it also shows how easy it is to erase their identity. However, there are minorities, especially black communities who have had and still do face medical experimentation; think also of the Holocaust. ; or women who by law may not be property of men, but on societal level, still are. Allow me to point parts of the territory that we, as LGBTQI human animals, share with nonhuman animals. Both members of the LGBTQI community and nonhuman animals are not acknowledged by some of our major institutions, such as schools: nobody ever learns as a kid what gender identity is, sexuality, or what gay culture is, or who some of our most influential people in history are – Sylvia Rivera, anyone? She was the Bronx-born Puerto Rican LGBTQI icon, who is said to have started the infamous 1969 Stonewall Riots. But of course, the white cis men took all the credit. We also never learn who nonhuman animals are, we are not taught to see them as the individuals who feel, and love and we never learn their stories. Especially their stories of resistance! Yes. Nonhuman animals fight back. But the reason why we rarely hear these stories isn’t because they doesn’t exist. It’s because they exist in a system built to minimize them. Cages, crates, electric prods, single-file chutes – these are all technology devices designed and used to disempower non-human animals so they don’t resist. Yet they still fight, any chance they get. Beyoncé escaped from a live market in Brooklyn and hid in a nearby vacant lot surrounded by a high chain link fence. She survived there for nearly two weeks until some caring human animals brought her to Safe Haven Farm Sanctuary. They named her Beyoncé because she is from Brooklyn and she is a survivor! Chickens can now be killed at a rate of 140 chickens per minute and slaughterhouses can police themselves even more, with less and less government interference making them more efficient killing machines. And that’s just in one facility. These are statistics we also have to take seriously. The sexuality of both nonhuman animals and human animals are suppressed by society: because heterosexuality and cisgender-ness are considered the norms, LGBTQI folks sometimes feel fearful to express their sexuality, especially in places where being gay can literally get you killed. Like in about 79 countries or in farms and zoos. In farms, there is absolutely no consideration whatsoever to any of the animals’ sexuality. They never get the chance to know themselves and express their sexuality. In addition, a gay animal is considered of no economical value to the industry. 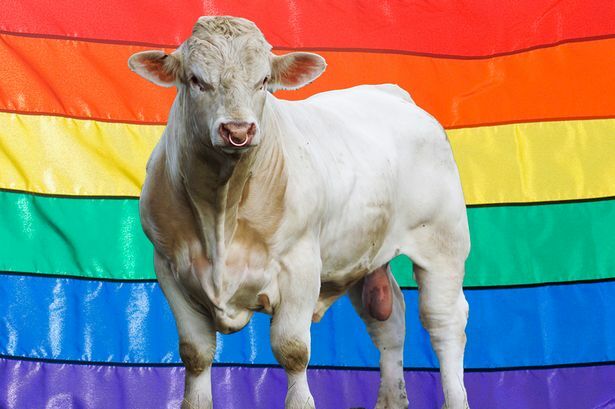 A famous case is Benji, “the gay bull”, who was rescued from being killed solely because he showed no interest in any cows but was much interested in other bulls. 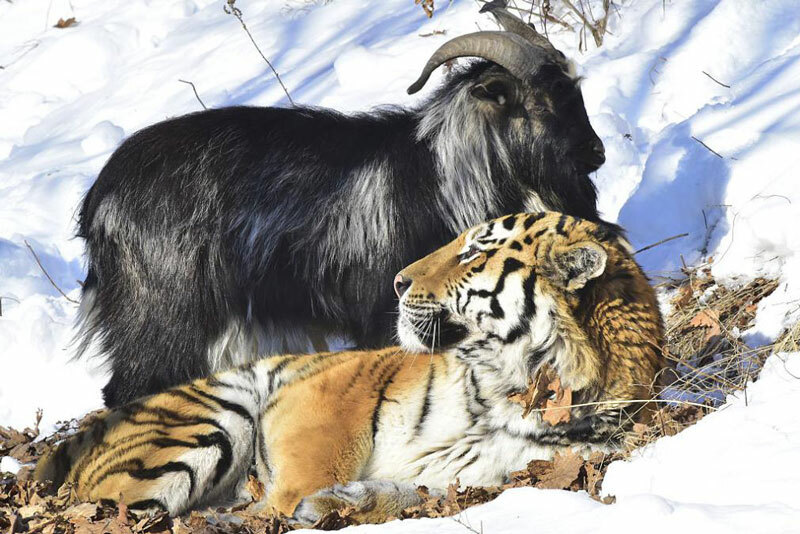 In Russia, prosecutors accused the relationship between Amur the tiger and Timur the goat (by the way, Amur was “supposed to eat” Timur) to be harmful to children by provoking “interest in non-traditional sexual relations”. In their case, speciesism is intrinsically connected with misogyny, homophobia and colonialism (as I’ll explain further). There are many more other examples of LGBTQI (emphasis on the “I” for intersex) nonhuman animals, like molluscs, some frogs, rephilities, birds and fishes. How do we justify excluding our LGBTQI siblings? Because of speciesism combined with other ism’s. Speciesism is the this idea that nonhuman animals are inferior to human animals, based on species alone, and it’s another form of discrimination in the list of a lot of systems of oppressions. Homosexuality throughout history may have had its moments of temporary and selective acceptance – like during a period in Greece and Rome, even though it was mostly reserved to men, and then it was criminalized and stigmatized by religious institutions. Also, prior to European colonization many continents were somewhat accepting of homosexuality, like in the Americas and Africa. Most of the laws introduced against homosexuality are a direct model of colonial powers. In Jamaica, for example, the anti-gay legislation is derived from the British 1861 Offences against the Person Act. In addition, there is also this Western picture of Natives painted as buffalo killers, master of animals and figures dressed up with feathers and leather from their toes up and strangers to vegetables. “But this lifestyle, once limited almost exclusively to the Apaches, flourished no more than a couple hundred years. It is not representative of most Native Americans of today or yesterday. Indeed, the ‘buffalo-as-lifestyle, phenomenon is a direct result of European influence,” explains Rita Laws. The view that religious institutions and colonizers brought was that the closer you are to a heterosexual, cisgender person, capable of reproduction the more human you are. Is the relationship we want to have with nonhuman animals a relationship of Eurocentrism and fundamentalism where we justify violence towards them implementing the same logic as religious institutions and colonizers? Both the LGBTQI and animal rights movement challenge government-enforced supremacy, or the idea of what constitutes “someone”, or what would define freedom and justice. LGBTQI rights is also a nonhuman liberation rights. We released a video from the NYC Pride Parade of 2015, which reflected the common goal of anti-speciesist, anti-heterosexist and anti-cissexist struggles – liberation from oppression and equality of consideration. The feedback on our video from that day was overwhelmingly positive, from both nonhuman animal rights and LGBTQI rights activists. In addition to that campaign, we launched a series of protests against Chick-Fil-A challenging their voracious capitalism, homophobia, speciesism and sexism. “We have to challenge racism in order to fight neoliberalism and capitalism… and defend public education in Chicago. We have to find ways for white parents to see that their concerns about schools are very much tied to what’s happening to black and Latino students, and that even when they are not facing [school closures, racism, and privatization] themselves, they have to stand up against that. Those things are intimately connected,” says Lipman, one of the leaders fighting for public school education. We previously analyzed how the violent strategies of anthropocentrism and colonialism are aimed at sterilizing and erasing gender expression, sexual orientation, gender identity and of course, species. But it also aims at sterilizing racial equality by keeping the humanity/animality dichotomy alive. 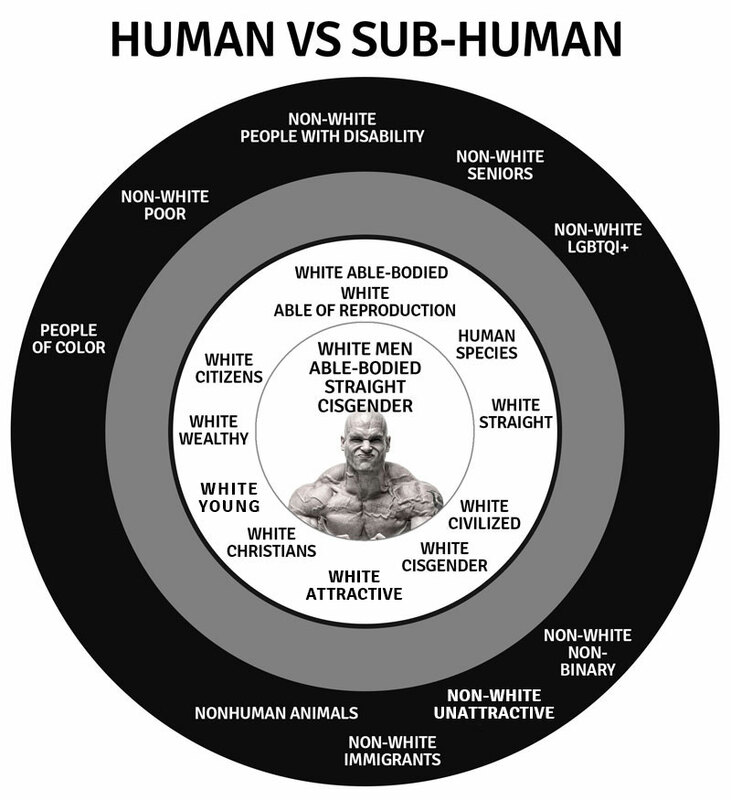 The white, anthropocentric colonizer distances himself from blackness and indigeneity and diminishes his personhood status by comparing non-whites to nonhuman animals, which is a speciesist depiction of animality as lesser than. This type of mentality is the foundation and core principle of white colonizers. Are we not regurgitating their argument to justify violence because it’s “just” an animal? Whitewashing purposely and deliberately discriminates against ethnic minorities – it is meant to be exclusionary and to alter our perception of History and ensure that the dominant white culture is the only one worth considering. Whitewashing is still heavily present in our culture, from media to the entertainment industry, from ads to farms and it is too a form of violence. Whitewashing also affects how we view nonhuman animals. For example, the male babies of cows who are commodified for their milk are stripped away from their mom immediately after birth. The logic is simple: if the baby stays with the mom, he will drink the farmer’s profit and bond with his mother, which is not good for business. The milk industry is directly connected with the “veal” industry. Drinking milk means also killing baby cows. The calves are generally fed a milk substitute intentionally lacking in iron and other essential nutrients. This diet keeps them anemic and creates the pale pink or white color, which is the desired appearance of flesh for consumers. Reclaiming the pre-colonial concept of animality is reclaiming indigenousness and blackness identity to a point where these issues are not antagonistic to one another but rather complementary. 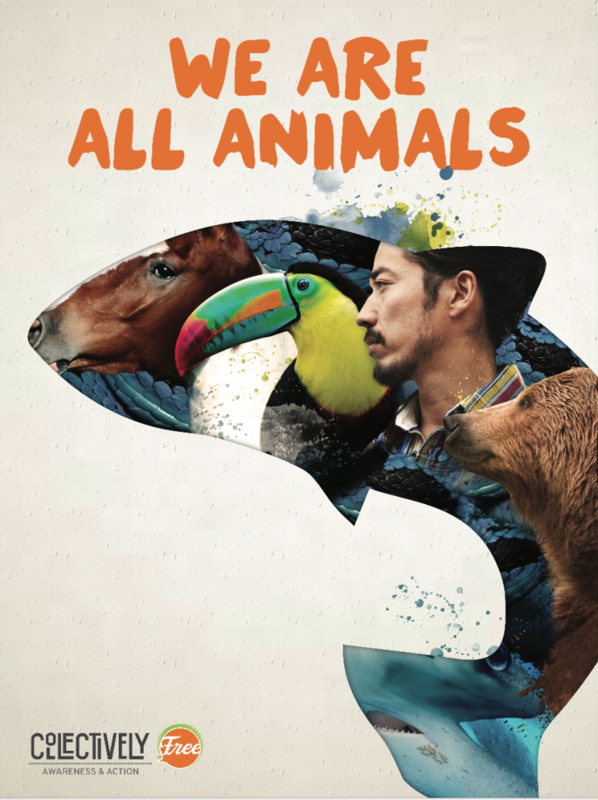 In our international campaign against Starbucks called We Are All Animals, we have called attention to issues of colonization, speciesism, racism, capitalism, etc., to illustrate their violent practices, from Africa to South America. We have also challenged the same issues through our campaign We Love Chocolate by calling out companies like Hershey’s, Nestlé, etc., on their capitalist, speciesist, colonialist and racist practices. Violent ideologies intensified with colonialism and anthropocentrism have deeply affected our relationship with nonhuman animals. That is not to say that pre-colonialism speciesism simply did not exist. Speciesism existed before then but combined with the anthropocentrism brought by the West it took a much more violent route. The same way that sexism, racism, etc., existed in pre-colonial times, for example in Egypt and beyond. 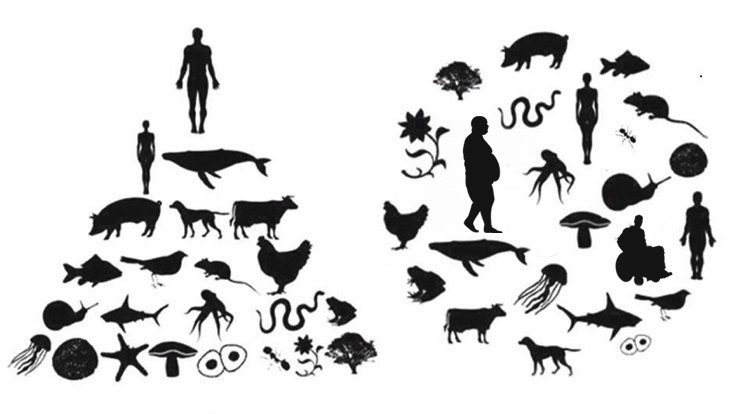 Anthropocentrism is violence, it is not something we should be proud of. People with a sense of justice should include anthropocentric ideologies in the same altar as any other form of discrimination. And that also includes speciesism. Reclaiming our animality is directly challenging white supremacy and everything that comes with it like questions of sexuality, gender identity, race, mass incarceration, ability, class, etc. This does not mean that as activists we should attempt to dismantle all forms of oppression: that would be simply unrealistic. It’s perfectly fine (and most effective) to have a focus – mine being non-human animal rights. But it’s also crucial that we remain supportive and inclusive of other social justice causes. So what can you do to include the plight of nonhuman animal liberation in your fight? We propose that we all join forces and share the theory of transformative organizing. Share the content, make the connection and stand your ground. 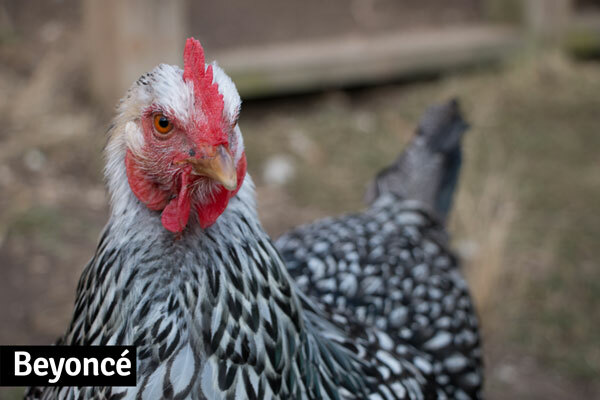 It won’t be easy to include speciesism in your principles and you will find resistance. Rea Carey from the National Gay and Lesbian Task Force shared that when the group decided to support the students’ immigrants’ DREAM act, they “got emails and posts on Facebook from LGBT people saying, “Why in the world are you working for those people?” – meaning immigrants. Always address speciesism as an act of violence, not of personal choice. The act of commodification is not a matter of personal choice. Work with your community during the transition. Advocating against speciesism but continuing to eat, drink, wear or support anything to do with nonhuman animal violence is incongruent to the stance you took. I’m definitely not the nonhuman animal liberation police and we each have different access and means to products but we can commit to doing our best to: Serve all plant-based meals at meetings. Not wear leather, wool, silk or fur clothing during meetings and protests granted the person has other pieces of clothing they can wear (and extend past just meetings and protests). Watch for speciesist language. Stop using slurs to offend each other that are associated with nonhuman animals “You rat, skunk, weasel, snake, pig!” No. Cops are not pigs. Pigs are amazing individuals and they deserve better than being compared to cops. Build a library. We have built a library of materials that include oppressions from racism to ableism so that our activists can learn more about different struggles. Do the same and include speciesism. When we fight against those who commodify our bodies as women, for example, but exclude trans women, or when we regard nonhuman animals as objects, we become the colonizer. When we scream from the top of our lungs “freedom!” but ignore the plight of immigrants in our journey for LGBTQ rights, or when we reject the fact that all nonhuman animal oppression starts with mass incarceration, we become the police. When we make it impossible for people with disability to participate in meetings and protests, or when talk about environmental crimes but erase the identity nonhuman animals who are the ones most affected by it, we become violent. And when we write a mission statement that says “we’re against all oppressions” but we feast on the bodies of our siblings without giving it a second thought, we become the oppressor. I’m not asking that you to drop your cause and become a nonhuman animal liberation activist. Guess what? I’m not dropping my people out either. I’m asking though, that together, we challenge speciesism and that we take the matter of nonhuman oppression very seriously.